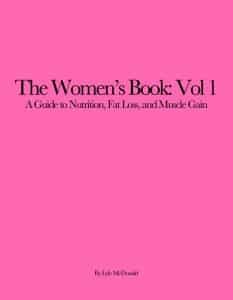 Back in 2004, I wrote a little book called A Guide to Flexible Dieting, basically arguing that being less extreme with a diet would work better. Of course, nobody was ready to listen then although, in the last few years you can’t swing a dead cat without seeing a post or ebook about flexible dieting. Sometimes folks even cite my work (in one case it was blatantly plagiarized but that’s a different story). At least I’m not bitter. I still don’t know why anybody would be swinging a dead cat around but that’s a topic I’ll have to look into at a later date. In any case, among other concepts (and make no mistake, I did not invent these concepts for the most part, I think I was simply the first to really formalize them) I discussed what I call a refeed. This refers to a period of deliberate high-carbohydrate intake that has several goals including refilling muscle glycogen stores to support high-intensity training, allow a psychological break from the diet (as certain usually off diet foods are allow) and, more hopefully, to reset some of the hormonal and metabolic adaptations that occur in response to dieting. In the original book, I described refeeds lasting 5 hours, 1 day and 2 days in duration with recommendations for each being given based on such factors as initial body fat percentage, size of calorie deficit and the amount of training being done. I also recommended them more or less across the board for all dieters. Well it’s 13 years later and, as one would hope, some of my thoughts on the topic have changed to at least some degree. More research is available, I’ve gotten more experience and feedback with people, at least some of my research for the women’s book (currently being edited) ties into this. And this was the topic of the podcast with Steve Hall. For just over an hour (this was short for me since I actually stayed on topic), we discuss any and all topics related to refeeds. How long, how often, for whom, what and how much to eat, etc. This represents my most current thoughts on the topic. The podcast can be heard on Itunes here. If you like it please leave a review and rating on Itunes as this will help Steve (who is even worse at self promotion than I am) to get more exposure. You can also watch the Podcast on the Youtubes.